When you stretch your budget to Rs 15000, there is a huge variety of mobile phones available from every manufacturer. To pick one phone out of more than 50 worthy contenders, can be a extremely difficult. 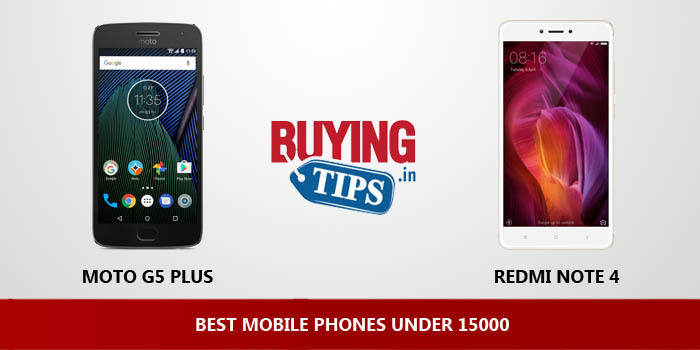 To make your buying decision easier, we do all the research for you and pick the Best 5 Mobile Phones within 15000 rupees. Most people who purchase phones with a budget of Rs 15000, plan to keep using the phone for atleast 2-3 years. Apart from build quality, it’s important that you find out if the manufacturer has a service centre in your city / town. Brands like Motorola,Samsung, Sony, LG and even Micromax have service centres across most cities. Make sure you find out before you make your purchase! Android is the most popular mobile operating system in this price range. We strongly recommend that you pick Android, both for apps and games. Windows is the only other alternative, as the last 3 generations of Apple iPhone’s are not available under Rs 15000. People who prefer Blackberry, stop reading and get the Blackberry Z3 from Flipkart. Design: The Moto G5 Plus looks very good with metallic build, It feels light and easy to hold. Display: Comes in a 5.2 inch Full HD display with auto brightness, the colours are accurate and the screen quality is good. Fingerprint Sensor: The fingerprint is placed at the front on the home button, it is quick and responsive. Sim Type: It is a proper dual sim phone that has a separate slot for Micro SD card. Processor and performance: Comes with Snapdragon 625 chipset with 4GB RAM, Performance wise it is mostly lag free. The gaming performance is also good with no heating issue. Camera: The camera is very good too, the rear facing camera is the best amongst Android devices that we have tested under this price bracket. the front facing camera is good as well. The indoor pictures come out good as well. Software: Runs on Android Nougat 7.0 with stock android. Battery: Good battery life (3000 mAh) and supports fast charging technology, Can charge the phone within 90 mins. Value for money: At Rs 19999, This phone is worth every penny. Sensor: Doesn’t come with compass sensor. Speakers: Average speakers,The audio is not that loud enough. LED Light: The phone doesn’t come with physical LED notification light. Introduction: After the huge success of Redmi Note 3, Xiaomi launched its successor the Redmi Note 4 with 2GB/3GB/4GB RAM and 32GB/ 64GB internal storage. Xiaomi known for their budget phones launched this amazing looking phone for just Rs 13000. Design: Phone looks really good with metal finish and 2.5 D curved glass at the front. Not only does it feel good to hold but also looks premium. Display: 5.5 inch Full HD display is sharp and bright, displays good colours and contrast. It has good sunlight legibility and some protective screen that protects from scratches. However the colour brightness doesn’t work sometimes and is too bright at times. Fingerprint sensor: Fingerprint is placed at the back which can unlock within seconds, not the quickest but definitely quick enough to unlock the phone when required. Processor: Phone runs on Snapdragon 625 chipset with 4GB RAM, performance is pretty snappy and lag free mostly. The apps can be easily switched and there is no heating issue. Software: It comes with Marshmallow 6.1 with MIUI user interface, the interface is simple and easy to operate. However if are not comfortable using it , you can download the google launcher from play store and use it. GPU: The Adreno 506 GPU can play decent games, the heavy games can be played with low or medium settings. It doesn’t heat up even with intensive gaming. Camera: The 13MP back and 5MP front clicks good picture, however the video recoding is average. Call Quality: The call quality is also good with absolutely no call drops. Storage: Comes with 64GB internal storage which is good at this price range and 256GB expandable storage. Video Recording: The front camera video recording is average. Sim Type: Supports Hybrid sim type, which might be a disadvantage for few. 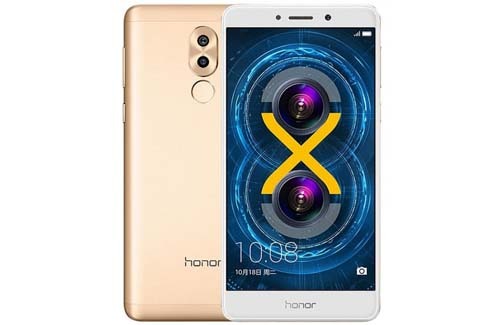 Looks: Honor 6X comes with a metallic build, looks good and very well designed. Comes in 2 colours black and gold, the gold one comes with white on the front. Even though it looks very stylish, the back of the phone is very slippery and hence one might need a cover to get a grip of it. Display: Huge 5.5 inch Full HD display, deeper colours and contrast. The sunlight legibility is good and can easily fit in one hand. Fingerprint Sensor: The fingerprint sensor is quick and responsive which is placed at the back and you can also customise the fingerprint by scrolling up and down to get the notification bar. Processor and Software: The HiSilicon Kirin 930 Processor with 4GB RAM is surprisingly fast and lagfree. It also runs on Android 6 Marshmallow with customised EMUI, the user interface is smooth to operate and doesn’t lag. Overall a fast phone with no overheating issue. Camera: Coming on to the main point the much talked about dual rear camera which is by far one of the best camera smartphones in this budget, The 12MP and 2MP rear camera takes excellent detailed pictures in low light and outdoor condition. The front takes good selfies and the video recording is good with Full HD and 4K. Overall if you looking for a good camera smartphone, this undoubtedly stands on the top of our list. Battery: 3340 mAh battery comes almost for 2 days depending on the usage. However it doesn’t support fast charging. Sensors: The phone supports sensors like Compass and Gyroscope. Also supports FM radio and USB on to go. Call Quality: Good cellular call quality and reception. Sim Type: Hybrid Dual stand-by sim this means you can either use one micro sim or a micro SD card, you cannot use both together and also only the first sim supports 4G, the second one supports only 2G or 3G. Gaming: Comes with Mali T830 GPU which lags while playing heavy games. Interface: Custom User interface might take sometime to get used to it. Display: Comes in a 5 inch full HD display with 441 ppi, The sunlight legibility is good and the colours are excellent. However the phone’s screen size is comparatively smaller than other phones. Build Quality: The phone’s build is made up of plastic and the back comes with glass. Lenovo has included a mobile cover with the phone which makes it easier to hold. Fingerprint Sensor: The finger print sensor is placed on the front of the phone which also acts as the home button. With this U-touch button you can switch Apps, swipe from left – right and can access google now. Processor: The phone comes with Qualcomm Snapdragon 820 chipset with Adreno 530 GPU. This is one of the best high end chipset that is available in the market under Rs 20000. The device also comes with 4GB RAM. Performance wise, it is fast and efficient. It can play any game without any issues. Software: Comes with Android Marshmallow 6.0 version with ZUI 2.o. The phone comes with google launcher as well. Sim Type: Phone supports 4G and 4G plus which is a great thing. Camera: Comes in a 13MP back camera with 4K video recording , 8MP front camera with Full HD recording. The pictures shot through this are very sharp and good. Storage: The phone comes with 64 GB internal storage that is more than sufficient to store all the apps and files. Battery: Battery (3500 mAh) lasts for an entire day and it also supports quick charing which can charge the batteries less than 2 hours. The quick charging adaptor is not included in the box. Size: The screen size is smaller compared to others. Back: The back of the phone attracts finger prints and is a bit slippery to hold. However the phone comes with the cover. Overheating: Does heat up after intensive gaming. Micro SD card: Doesn’t come with Micro SD card. Feature: The phone doesn’t support optical image stabilisation. Protection: No Corning gorilla glass protection. Availability: Only available on Amazon. Charger: Although it supports quick charging technology, the phone doesn’t come with the quick charger . you will have to buy separately. Display: Sports a 5.5 inch Full HD screen, the display quality is good with great viewing angles. Build Quality: Its a full metal body phone with curved edges, the phone does feel a bit slippery to hold. Speakers: Lenovo comes with Dolby Atmos front speakers which is placed in the front. The sound quality is very good. ll room. Software: The phone runs on Android 6.0 Marshmallow with Vibe UI, the interface is easy to operate and performs smoothly. Performance: The performance with Mediatek Helio 610 and 3GB RAM is decently fast and lag free. The phone also comes with Mali T860 GPU and gaming performance wise it performs much better than Lenovo K4 Note. Even high end games could be played without much lag. Although it does have some heating issues. Camera: The phone comes with 16MP back camera with autofocus that takes sharp and clear images. Even front camera takes decent pictures. Feature: Supports USB on to go that helps you transfer files from the phone and vice versa. Storage: Comes with 64 GB internal storage and 256 GB expandable storage. Battery: Battery drains relatively faster than other phones. Sim Type: Comes with hybrid sim slot, this means you can either use one nano sim with micro SD card or both the sims together. These are the best phones available in the market right now for this budget, including Android and Windows Phone handsets and should give you great value for money. Thanks for sharing. I went for the Redmi Note 4 and happy with the decision. I think you should place it at the top. Anyway thanks a lot for making my purchase decision much easier. I want best audio quality phone with 4gb ram, gorilla glass protection, Snapdragon processor, good camera, at least 3000 MPA battery and metallic body upto 16000. pl give good advice. Thanks. In My personal View, Asus Zenfone 3 Best Phone You can Find Under price of Rs.15000. You may not agree but i am using it from last 9 months and i can say its just awesome. never lag since 9 months. very good battery backup..anyway thanks for the post. Sir… Did coolpad note 5 mobile has heating problem? Under 15000rs which one is good mobile please tell me sir…. I want to purchase phone below Rs 15000. LOW SAR =1.5 GB is desired. Good network connectivity. battery min 2500 mah. Good buid quality and mobile phone screen should not break on falling ( gorilla tough glass preferred). I have previously used Samsung galaxy grand max. It was good but lately started hanging. / app crash. Is Moto G 4+ 3Gb Ram have any problem??? Do moto g4 plus heats if not playing games i.e. in browsing or watching vidos etc. Hi. I am looking for a phone with good battery backup and without heating issues with heavy use under 15000. I should be able to use the phone for atleast the next three years.I am considering the Redmi note 3 with the only concern being the expandable memory. Would it be a wise choice? Also, should I wait for the redmi note 4? @ SS: I would say you wait for a while for some new phones to launch, since you are looking for durability. Thanks for the suggestion. Could you also suggest some of the phones that I should lookout for? Planning to purchase new phones in 2 nd week of September & my budget is 15,000 but waiting for gud product release because currently in market all gud devices are wid hybrid slot n I want device with dual + sd,I’m waiting for good product launch..I want gud processor n dual+sd..plz recommend me gud devices in my budget or devices launching in my budget with dual+sd slot. @ Aditya: You can have a look Moto G4 Plus, it is a dual sim device without the hybrid option. @ Shashank : Have a look at Lenovo Vibe X3 or even the latest Asus Zenfone 3 for Rs 21999. Asus battery may not last for a longer time other than that it is a great phone. It can handle most of the heavy games. I want to buy lenovo Zuk Z1 but there are lots of negative reviews on amazon regarding network, touch and hanging issue. So should I buy it? 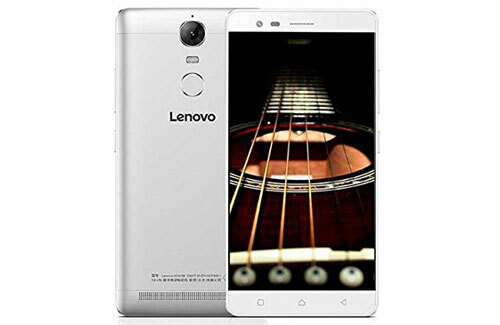 sir which is best phone for gaming and best performance lenovo vibe k5 note or redmi note 3? @Karmdipsinj : Gaming wise Lenovo Vibe K5 is better, it doesn’t lag while playing high end games. Although it does tend to heat up after a while. I want a phone with excellent call quality and best battery in budget of INR 15,000/-. Please suggest. @ Max : Xiaomi Redmi Note 3 is a good phone to buy. @ Vinod:Honor 5C is a very good phone, however it doesn’t come with corning Gorilla Glass and is a bit slippery to hold. when will Redmi note 4/ pro be available in india, any clue? @Jay, expected in a couple of months. Xiaomi doesn’t have a date currently. in one you say there is no heating issue for Xiaomi Redmi Note 3, while in another say it has after a time? @ Shajan : There is no heating issue in Redmi Note 3, we did face a little bit of heating while charging but not while using the phone. So which mobile i buy sir tell ans. Hurry plse. 2) also should one wait for redmi note 4/pro? when will it be available in india/price? Is it true? Which one should I go in for? which phone should i buy in 15,000 budget. what is the best phone in 15,000 budget? @ Jay: Above all the phones you have mentioned Mi5 is one of the best phones but since you are looking for a phone priced under Rs 15000. You can go for Redmi Note 3. @ Vinod : Performance wise Moto G4 plus is better but it has heating issue. If that doesn’t bother you then go for Moto G4 Plus. Is moto g4 plus the best option for average usage than redmi note 3 ? @ Anson Jose: Both the phones are incredibly good for normal use, we would recommend you to go for Redmi Note 3 as it has no heating issues. I want to buy a phone under 15k and i am not able to decide between redmi note 3 32GB and ZUK Z1. I have a slight inclination towards ZUK Z1 because it has Cyanogen I don’t like MIUI that much but user reviews says that they are getting defective pieces and have problems with sim detection, hanging , Heating etc. in Z1. I am a type of person who wants to root the phone and test everything on it and get the best out of it. Please help me. @ Viki : Yu Yunicorn is a average phone. You can either buy Lenovo Zuk Z1 or Redmi Note 3 both are very good. The only problem in Zuk Z1 are the speakers it isn’t loud enough. @ Ramendra : Lenovo Vibe X3 is a good phone to buy. Moto G4 plus has got some heating issues. @ Nivin Raj: Since you are lookng for a phone with the best front camera, we would recommend you go for Zenfone Selfie, it is one of the best selfie camera. Even the primary camera takes good pictures. Sir should i buy redmi note 3 now or wait for redmi note 4. @ Kush: Redmi Note 3 is a very good phone. You can buy it. It does affect the performance. I am using moto g4 for last 4 days. It really heats a lot. The phone lags after even after using lighter apps. Even the camera is not good. Poor value for money. My recommendation, do no buy this phone. please suggest me a smartphone under 15000 with no heating and low sar value? I am totally get confused ,about to buy a smart phone with low sar value phones with good specifications under 17000 . Xiaomi Redmi Note 3 / Asus zenfone selfie / Motorola Moto G4 plus ? @ Sooraj : Motorola has got the highest SAR value among the three, Specs wise Motorola G4 plus or Xiaomi Redmi Note 3 is good. We recommend you buy to Xiaomi Redmi Note 3 as it doesn’t heat up. 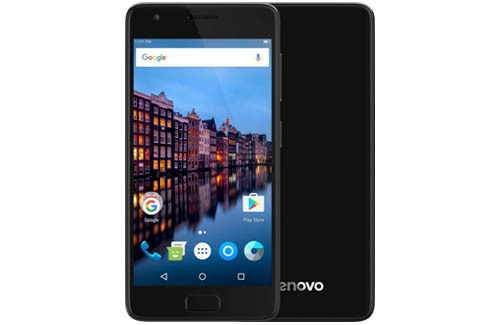 i am confused to buy between motto g4 plus and lenovo zuk z1 . @ Chandra : Both the phones are equally good, but the processor that is used in Lenovo Zuk Z1 is Snapdragon 801 chipset and its an outdated one. If that doesn’t bother we would recommend you to buy Lenovo Zuk Z1. Plz suggest me 4 a gaming phone with 3 gb ram under 15000. I am planning to buy Moto G4 Plus. Is this a wise decision or I should buy some other Smartphone ? @ Anamaya : Overall Moto G4 Plus is a good phone, however it does tend to heat up while playing games or charging. @ Jeetu: Redmi Note 3 without any doubt. I’m really interested in moto g4 plus. @ Abhilash: Yes, Moto G4 plus does have some heating issue. Nevertheless, its a very good phone. But is that bothers you, you can buy Lenovo Zuk Z1. 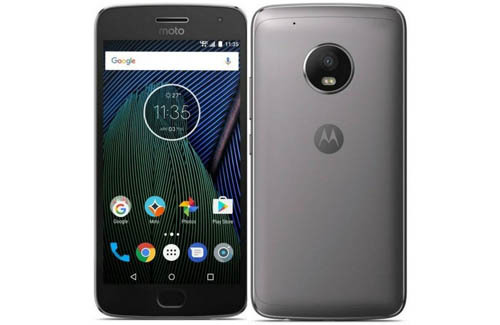 Planning to buy a reliable phone around 15000..thinking about moto g4 plus and Samsung j7 2016…which is better or anything else than these two? @ Aniket : Moto G4 Plus is a much better phone than Samsung Galaxy J7 2016. The display quality , camera and performance is better in Moto G4 plus, Howvever it does have some heating issue. i want to buy good camera phone and specially in low light and my budget is 15k plz suggest me ??? @ Jeet: Redmi Note 3 is a better phone than Moto G turbo and Lenovo K4 Note. Need phone in 4.2 inch to 5 inch , low sar value, good bttry , 2 GB RAM minimum, gud camera. @ Satyam: Xiaomi Redmi Note 3 is a 5.5 inch phone with 4000 mAh battery, good camera and 3GB RAM priced at Rs 11000.
i would like to buy a mobile at 15k, which is a good one without heating issue and if i go for latest zenfone 3 which is good to buy. @ Anil: Zenfone 3 will be available only after August. If you can wait till then. If not we would recommend you to buy Redmi Note 3 for Rs 11999. One of the best phones we have used so far. which above mobile is good for camera and audio? can i go to brand sony xperia c4 / htc desire 626? Sir, I wanna buy an android smartphone having the following specifications and features. @Chintu: Honor 5X is a better phone, comes with fingerprint sensor, 5.5 inch screen, decent camera and good battery with power saving technology. Others – 4G, atleast 2.2 G Htz processor, 5.5 inch display ( full hd ), Slim, good look etc…. Is their any problems in oneplus x ? and thank you. . . . .
@ Chintu: There are no problems in Oneplus X, except for that the phone doesn’t come with fingerprint sensor. Other than its a great phone to buy. Thanks for your comparisons. Pl compare One plus x mobile in comparison to these phones. I want to buy a phone with fingerprint sensor, marshmallow version(or atleast will receive marshmallow update soon), good battery life, and performance(for gaming mostly). Camera performance is expected but an average camera is tolerable(i am not selfie crazy). I am a developer, so these specs are a must. Budget is 15K. Should i go for lenovo k4 note or xiaomi redmi 3…? Sir, I want to buy a smartphone under 15000. I am confused with xiaomi redmi note 3. Please suggest me it is good or not. I would like to buy a phone with very loud speakers for music and watching movies and under 15k with 5 inch or 5.5 inch display. And good call quality. Hello. I wanna buy a phone under 15000. And am confused in these phones. ->no hanging issue during multitasking or gaming and all. any issue in moto g turbo mobile? @ Saran: There are no phones under Rs 15000 with all your requirements. If you want a waterproof phone you can buy Moto G Turbo with 2 GB RAM but doesn’t come with fingerprint sensor. Xiaomi Redmi Note 3 comes with 3 GB RAM and fingerprint sensor but is not a waterproof phone. @ Prashant : Thank you!! I want to buy a phone under 15k.I want a phone with no heating issues, good camera (front and rear..), fine sound quality, lag free UI, durable also..
Pls suggest me as i am confused alot..
@ Raina : Le TV 1S has got the best call quality and audio quality under Rs 15000 , However the camera and battery are average. Please suggest me a good mobile phone under 20k. 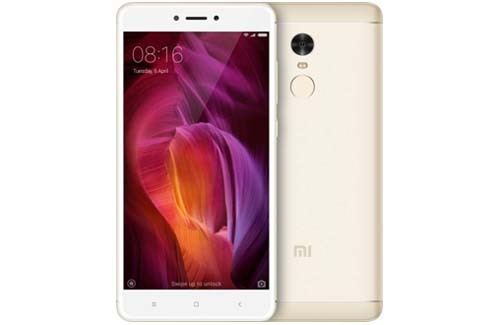 Sir..my budget is 15k and i was thinking to buy the redmi note 3 32gb set..i am a great internet user,lyk to watch movies on phone..so please tell if this phn will be good for me..and also tell me about if there is any disadvantage of non removable battery in this phone..and does it heat up?? Waiting for ur important reply..
Want to buy a smartphone under 15000. My criteria are good build quality, performance, camera and at least a full day lasting battery along with expandable memory (no hybrid concept). what about samsung on 7 is it better then those chaina brand mobiles? Tell me about Lenovo K4 note smartphone it is best or not. @ Pankajsehoriya: Lenovo K4 Note is good phone with fast processor, 3GB RAM, Good front and back camera and 3300 mAh battery. However we wouldn’t suggest if you are looking for a good gaming phone, as the gaming performance is average in Lenovo K4 Note. Can u suggest on 7 or laser 2 or mi 4 or moto g turbo. Which shd i go. Please leave a early reply with reasons. @Sky : What exactly are you looking for in an smartphone? what are your priorities- Battery, Camera, Performance and Gaming. Let us know . If you looking for a phone with fast performance and good camera then go for Moto G Turbo. Asus Zenfone 2 Laser and the latest Asus Zenfone Max both are great phones Zenfone Max has got great battery life with 5000 mAh battery. We wouldn’t recommend Mi4 as it’s an outdated phone. Hope we have cleared your doubts, Let us know. @ Milind : Thank you for the suggestion. We will consider including SAR values in our next post. Thanks. I will be purchasing the Asus Zenfone 2.